Indonesian people often get up early. This is a good habit. However, it is only the first step. After you get up early you need to use the extra time in a productive way. Productive activity will be different for different people because it depends on a person’s individual goals. Although I can’t say what you should do with those extra hours, I can say what you should not do! If you get up early simply to watch YouTube, scan facebook or instagram and generally do nothing, you have wasted your time. You might as well have stayed sleeping. So, it is an important question to ask yourself if you get up early: How am I going to use the extra time? 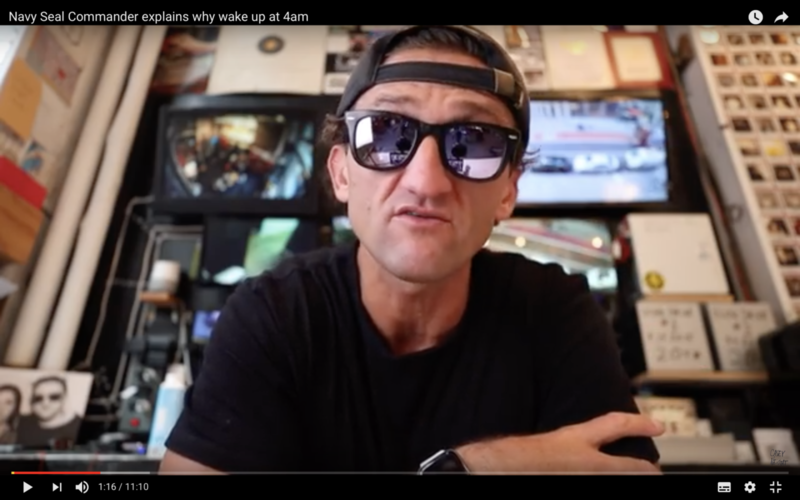 One YouTuber that produces lots of entertaining videos is Casey Neistat. In this video he talks about his daily routine and interviews Joko Willink, who is also worth listening to. Please watch this video in order to get the motivation to use your time in the best way possible. The link is below. Please comment on how you use your mornings.